Psalm 107:1 and 136:1 both say, “Give thanks to the Lord, for he is good; his faithful love endures forever.” Giving thanks is more than being thankful. It is something you do. Action is involved. Paul said to “give thanks in everything; for this is God’s will for you in Christ Jesus” (1 Thess. 5:18). So often we are not what we ought to be because we forget who we are in God. Giving thanks to God helps us remember how good He has been to us and helps keep our focus on Him. 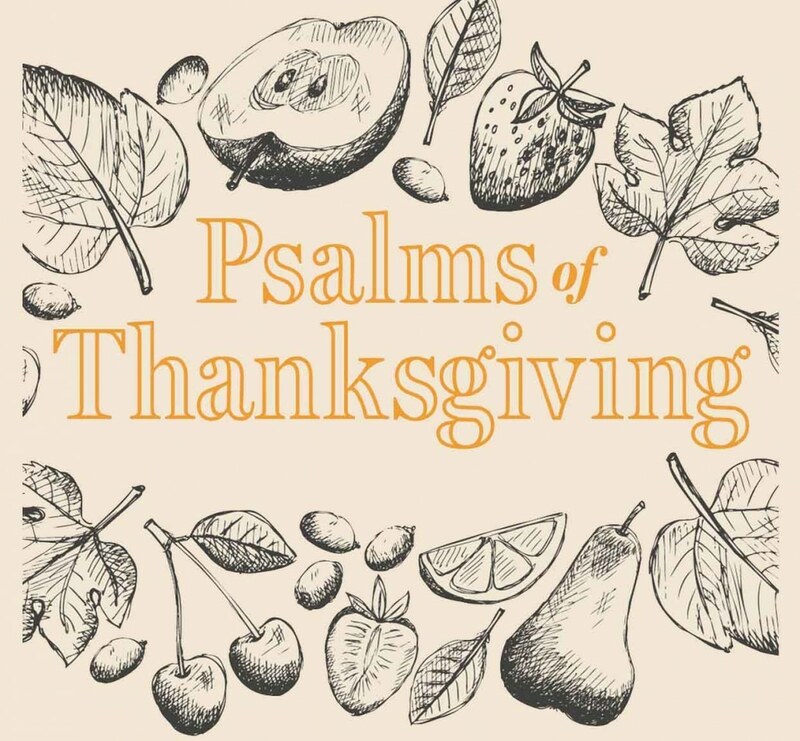 In Psalm 92, we see various aspects of Thanksgiving. Verses 1 and 2 remind us to be thankful not just for what God does for us, but first and foremost for who He is. He is the Lord. His name is above every name. He is the Most High. He is faithful. He is loving. Worship always begins with God. It focuses on His name and His nature. How should you start your day? Looking forward in faith. How should you end your day? Looking back on His faithfulness. 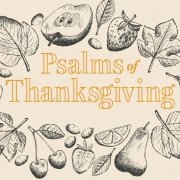 The Psalms teach us to thank God for His lovingkindness and faithfulness. His lovingkindness is better than life. His love endures forever. Psalm 92 is called a Sabbath Song. It was used for public worship on the Sabbath, but it carries over to private worship daily, day and night. Reading verses 1-3 together we learn that worship focuses on God for who He is, and it also involves singing and instruments. Worshiping God with instruments is good and biblical. Four times in this Psalm we read the word “works.” Worshipping God involves singing, but it also includes service. Serving is an act of worship! Worship is vertical, verbal, visible, and volitional. Verse 9 talks of the Lord’s enemies perishing. Verse 11 reads, “My eyes have seen the defeat of my adversaries; my ears have heard the rout of my wicked foes” (NIV). Thanksgiving and praise are not only instruments of worship, but they are weapons of war. Note from this verse that we see and hear. The fall of our adversaries is all God’s doing. It is His work on our behalf. The battle is the Lord’s. What the Psalmist anticipates is the ultimate defeat of all our enemies: sin, Satan, this evil world, death, hell, and the grave, because of Jesus who crushes the enemies of God and His people. Before going to the cross, Jesus took the bread, broke it and gave thanks. Because of the cross and resurrection, we have victory. There are so many blessings that come when we give thanks! Verse 10 says, “You have lifted up my horn like that of a wild ox; I have been anointed with the finest oil.” Oil in scripture is a symbol of the Holy Spirit. We need to regularly be filled with the Holy Spirit. So many people burn out. They lose the joy of their salvation. The joy of Lord is our strength. When your strength is small and you are feeling run down spiritually, ask God to give you fresh oil. Not only will God give us strength, but He also gives stability to the righteous. Verses 12-14 talk about palm and cedar trees that are thriving and bearing fruit. The palm trees in this passage are date palms, which not only produced fruit, but the leaves were used for fences and roofs. The cedar tree grows as high as 120 feet, and its branches extend out to a circumference of 30 feet. They are truly a majestic sight that symbolize great strength. Sometimes we forget how long it takes for a tree to sprout out of the ground. You may work a long time before you see results. Don’t grow weary in well doing. You will reap if you faint not. The tree first grows downward before it grows upward. It is a picture of stability. In addition to growing roots, we are also to grow upward and outward. We are called to rise above the people around us, our circumstances and obstacles, and long to be with and spend time with God. Just like a tree’s branches grow outward, providing shade for others, we do not exist for ourselves. God has called us to branch out and be a blessing. Our faithful God gives us fresh oil, makes us like a flourishing tree, and makes our years fruitful. Plant your life in the house of God. There is no greater cause than the cause of Christ and His church.